HTC is all set for it’s event today in New York. The company is expected to launch a host of devices with improved photographic capabilities, dubbed as the HTC Eye series. Included in the list of new devices is a potential revamped variant of the HTC One (M8). This information comes from the company itself, which posted a teaser image on it’s twitter yesterday that indicated at a potential new HTC One M8 to come tomorrow. If GFXBench is to be taken for it’s word, then looks like HTC has started to take things really seriously when it comes to selfies. With the HTC Desire Eye, the sole focus of the company seems to be on providing it’s customers with ample megapixels on both the rear and the front of the device. Of particular attentions is the front camera, with a whooping 12 megapixels. So with the HTC Desire Eye you can be sure that you’re selfies will not be lacking in pixels indeed. 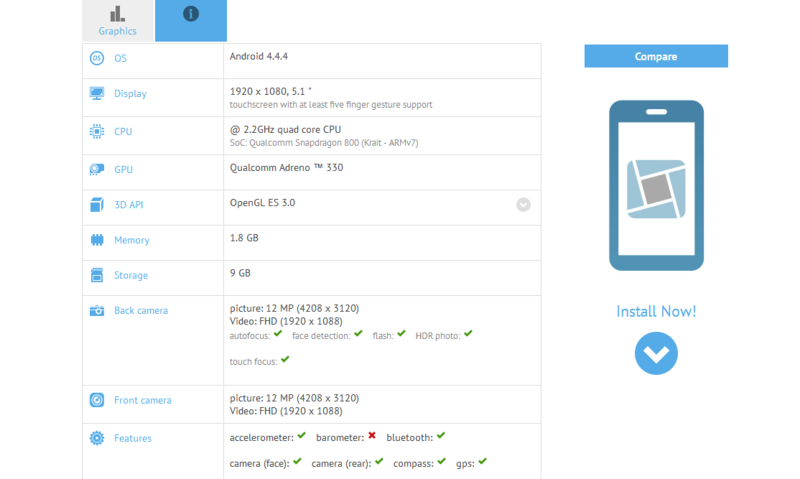 Other specifications for the device are a Snapdragon 801 on board coupled with 2 GB of RAM. The device is also expected to come with 9 GB on board storage and FHD video recording capability for both the front and the rear camera. Sounds pretty good so far. Let’s see what HTC comes up with in New York today. Stay tuned for updates.